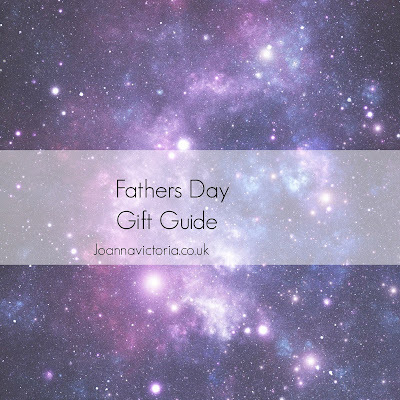 With it being Fathers Day this Sunday (19th) I thought I'd do a final gift guide of last minute items you could get for your Dad. This guide also includes items that Blake has got for Stuart, so Stuart please don't look at this post please. Blake (I) picked out Legend for Stuart as he had been wanting this DVD since its release. I think DVDs are an ideal gift for anyone but also are great if you know your Dad loves a good film. Another great idea is Chocolate and if you can get a novelty bar than even better I found this games controller one for Stuart on amazon. Another idea is a tie and this quirky looking was sent to us and is from House of Fraser. I actually like the blue shade but know this wont really suit Stuart so will pass this on to someone else. Get crafty with your little ones for Fathers Day as lets be honest here there is nothing better than a gift or card that has been handmade by your son or daughter. Here are some crafts Blake has done recently to give you some ideas. I hope you all have enjoyed my last minute guide and that you all have a lovely Fathers Day whatever you get up to. I really want to see Legend myself as I'm a huge Tom Hardy fan. The perfect present for us both hey?!? Chocolate game controller! That is so funny and awesome love it. Great ideas, my dad always love a good dvd! Love the chocolate playstation controller, that's a cool idea! Ha ha you can't go wrong with chocolate in my house! These are thoughtful gifts for Father's Day. I like them all. Love the chocolate xbox controller! Great ideas for a last minute panic...thanks for sharing! Great gift ideas for Father's Day. I think the chocolate games controller is fab! I have bought my husband 'Daddy's Home' dvd and some chocolate from the kids. Lovely little list, love the chocolate controller. That PlayStation controller chocolate is ace. Potential gift for my bro's bday next month. Hope you all had a fab day yesterday. My son would love the chocolate controller! Hes has a birthday coming up so I might pop that on hislist.